We stock a limited number of kits that compliment our figure ranges. 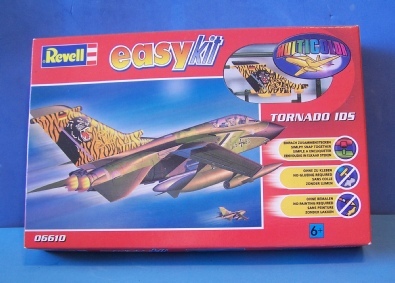 These are normal kits that require assembly and glue. They are all 1/100th scale. Revell Huey helicopter. Ideal for Vietnam. 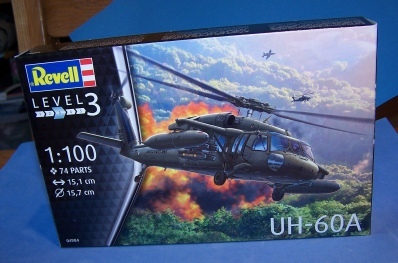 If you are making this kit for wargames purposes, here is some advice that might help. The advice is offered nicely, you do not have to follow it. 1. Leave out all of the cockpit interior detail. 2. 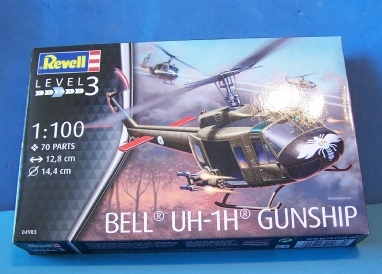 Leave off all the exterior weapons if the chopper is a "slick" i.e. just dropping off troops or doing medivac. 3. Spray the whole model, windows too, in order to make painting easier. This way you will not need to be careful painting around windows. If you paint the windows light blue, you can touch up any mis-paints easily. 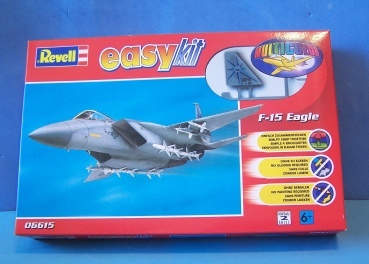 Revell F15 Eagle jet fighter.